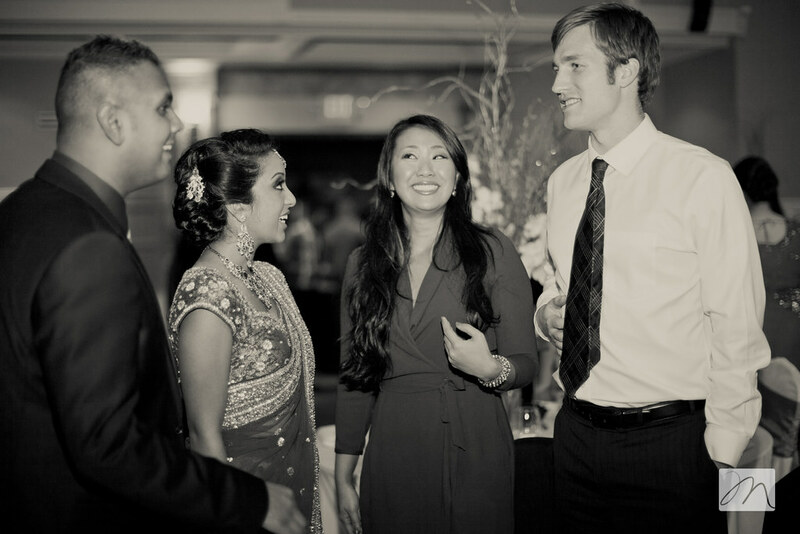 Natasha and I started dialoguing last fall as she began to make plans for a life changing year in 2012. 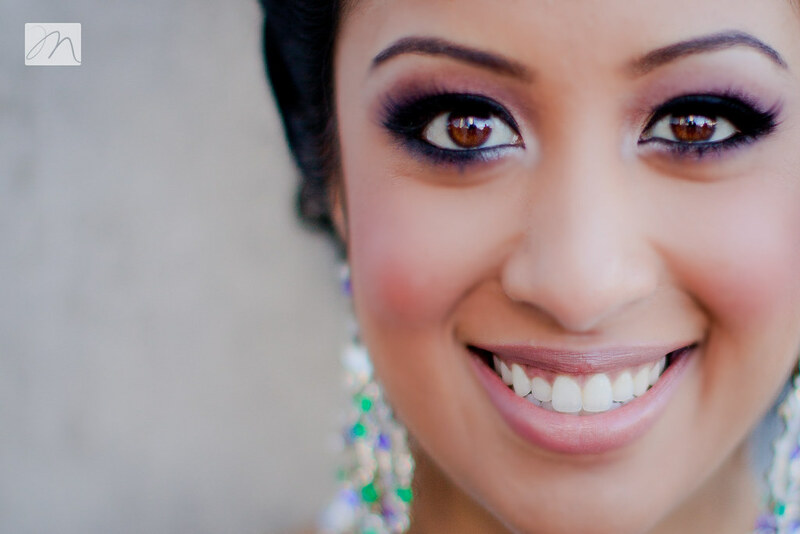 She is a fellow blogger, fashion guru and planner extraordinaire. 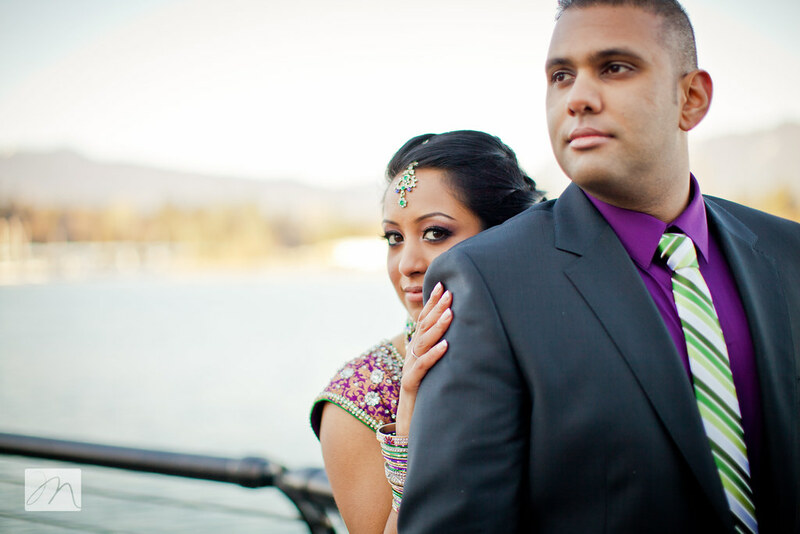 She is professional and sweet, and she loves her man. 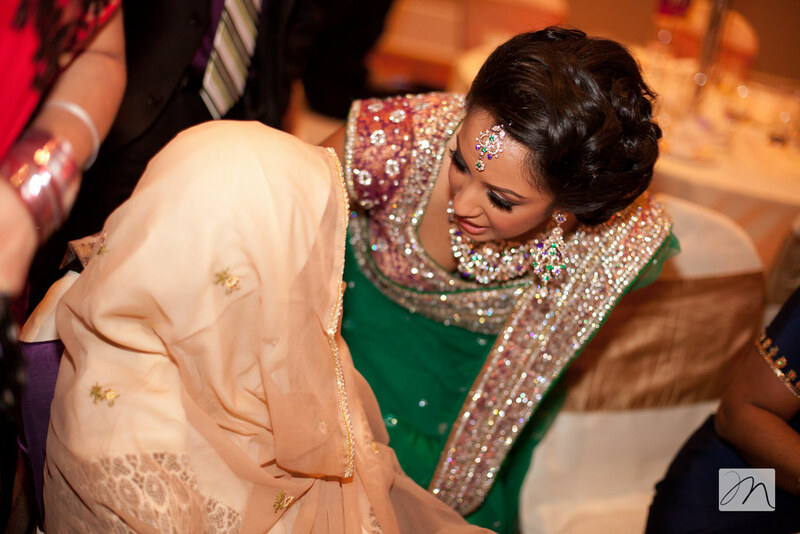 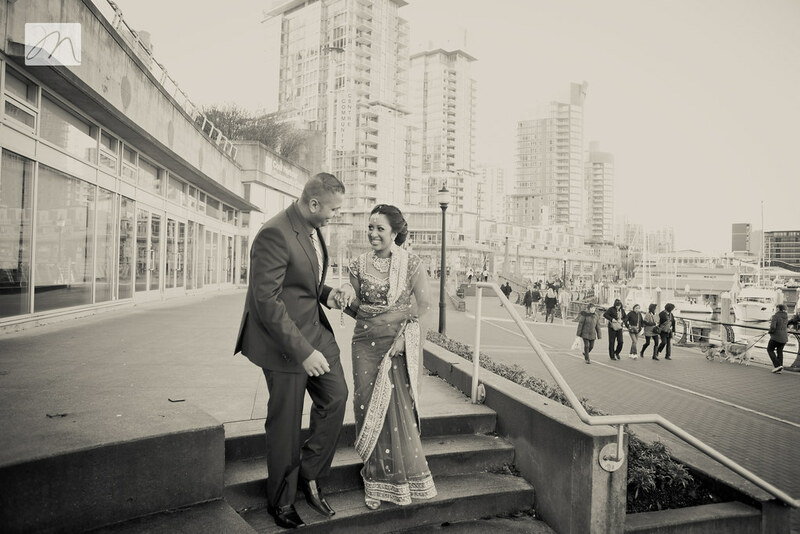 We started with emails and ended up chatting on the phone; and all the while I became more excited with the prospect of being the one to document the series of events that would make her Faraaz's wife. 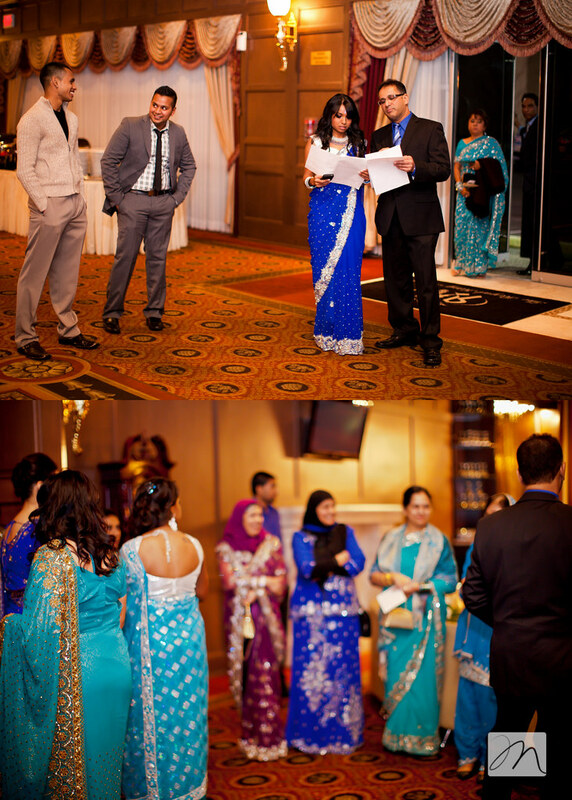 And when I say series of events...I mean it. 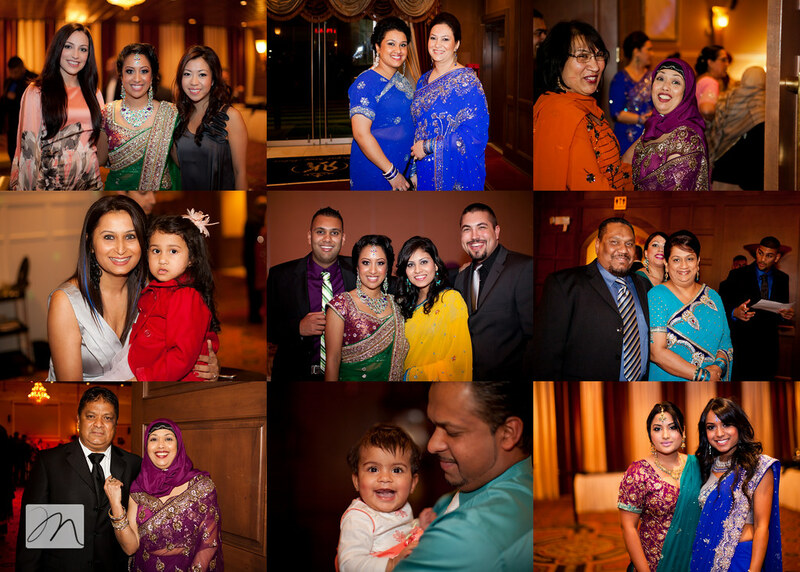 The festivities began a couple weeks ago as the couple celebrated their engagement with a few hundred of their closest friends and family (I will share a few of those photos at a later time). 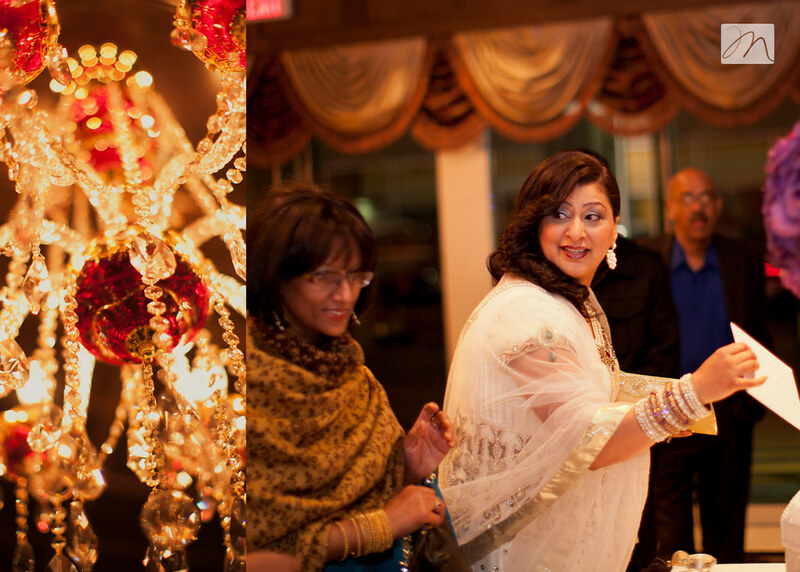 The food, the colors, the fabulousness...it was all there. 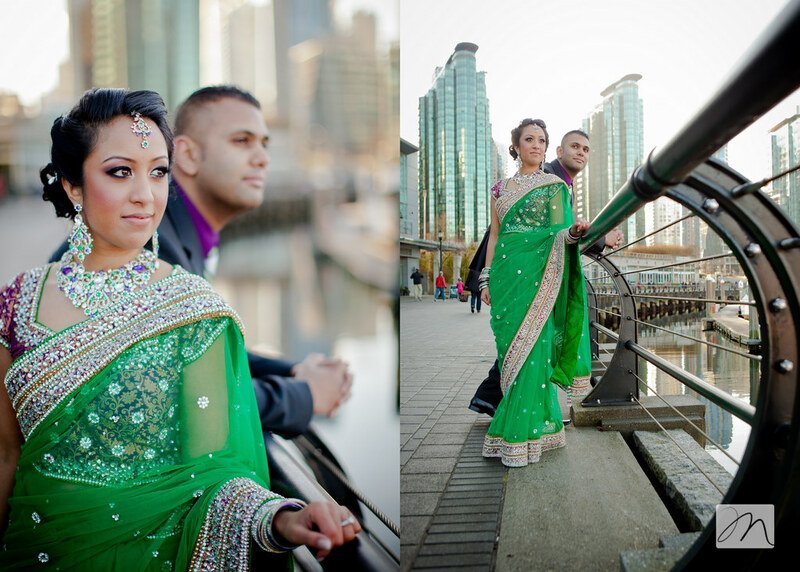 On the afternoon of the big night, Steve and I met up with them in Coal Harbour to get some photos of them in their gorgeous attire. 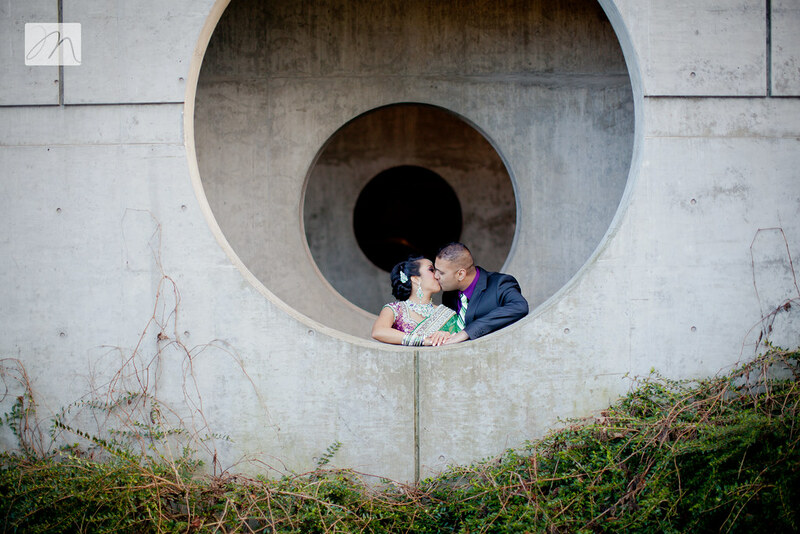 The location was their choice and we ended up loving it! 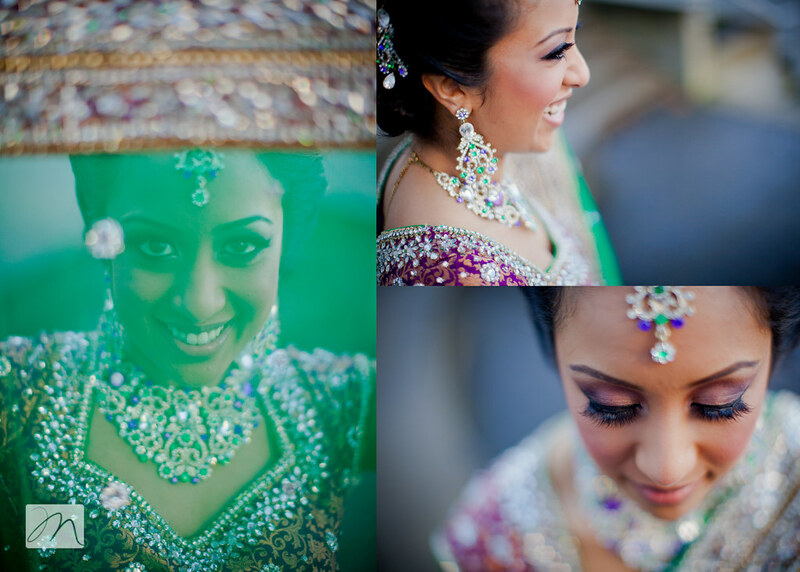 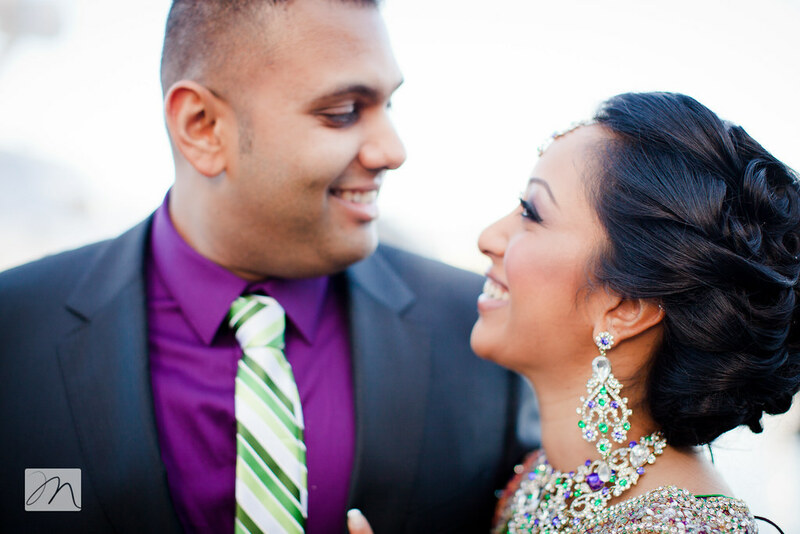 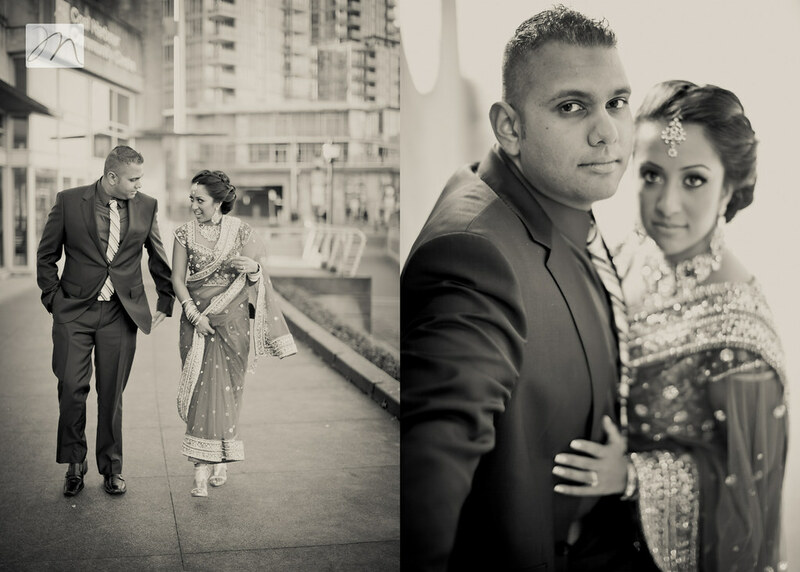 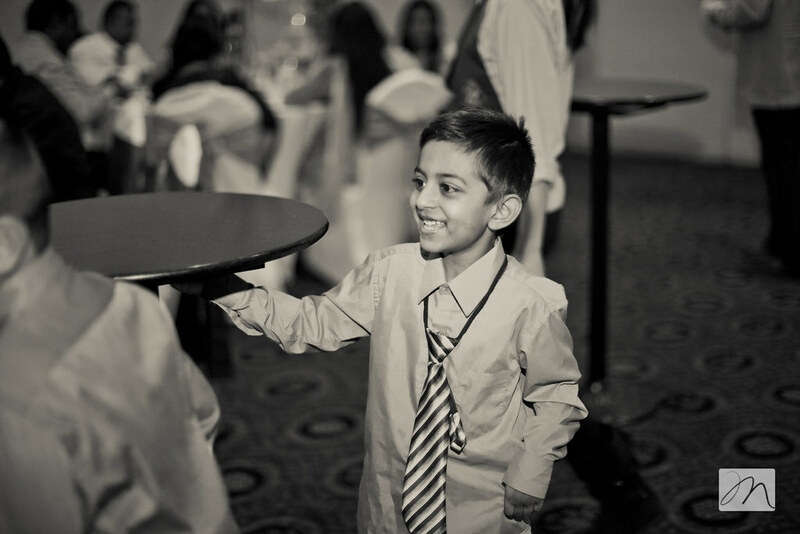 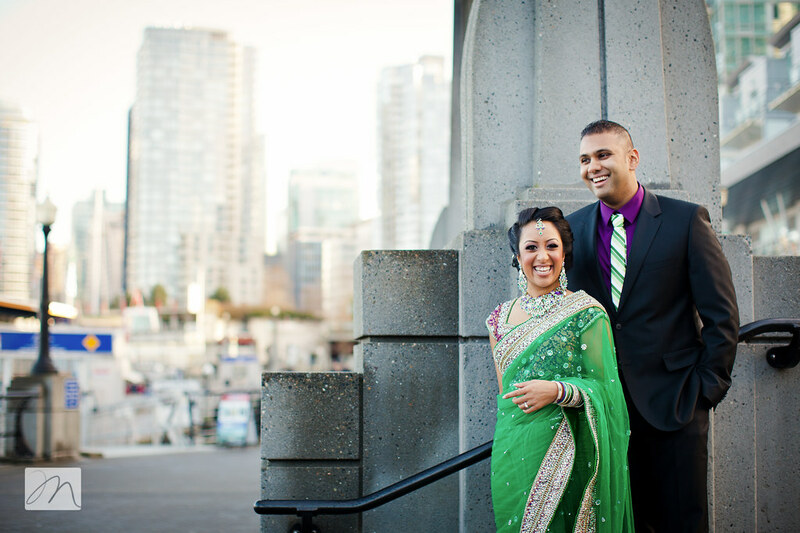 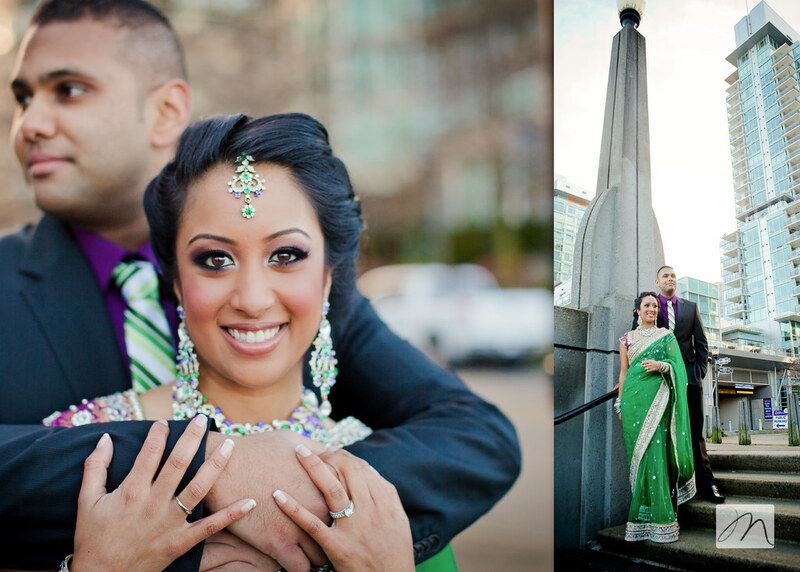 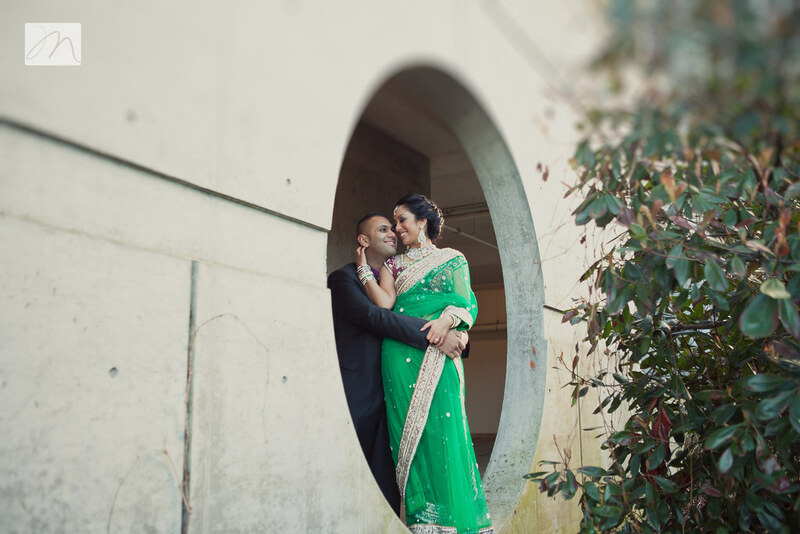 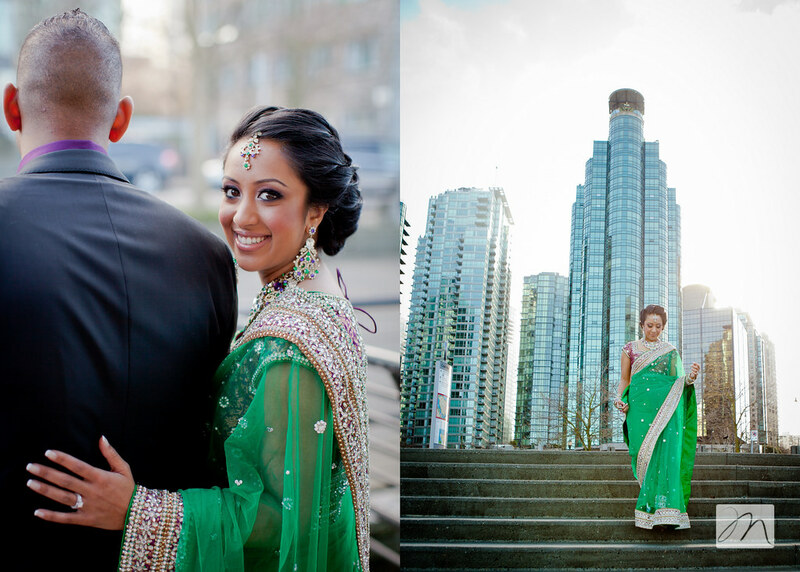 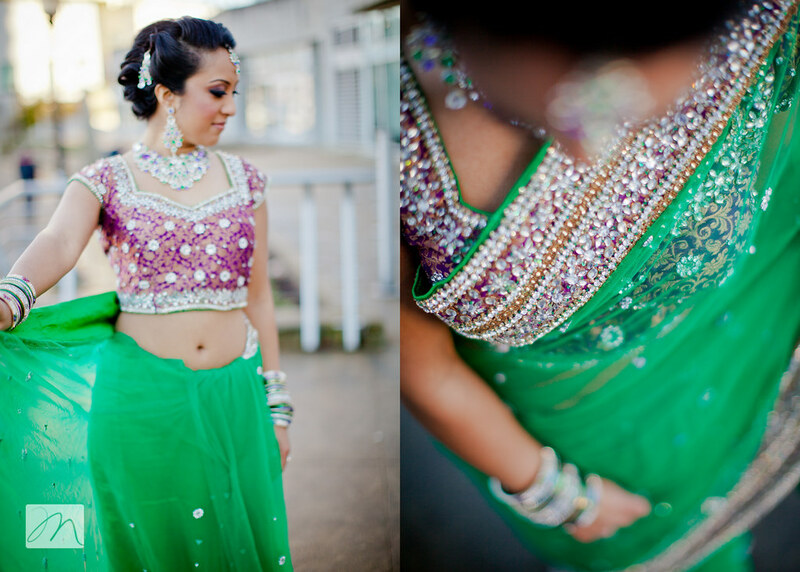 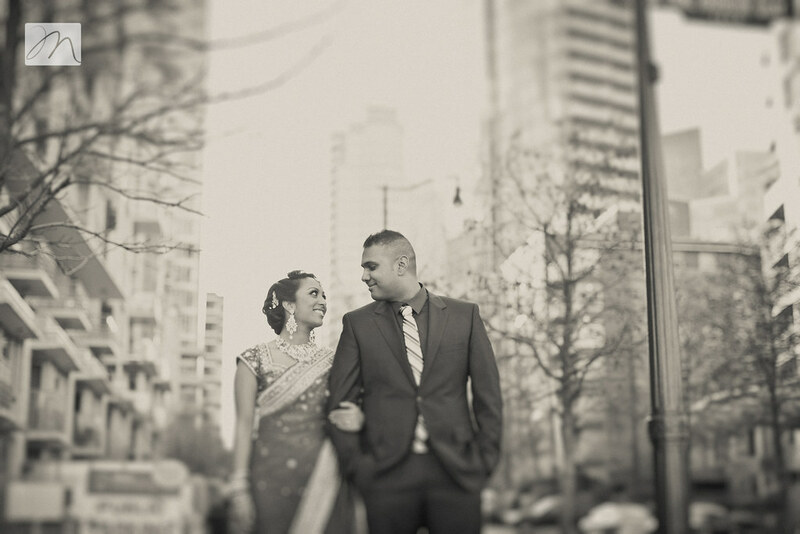 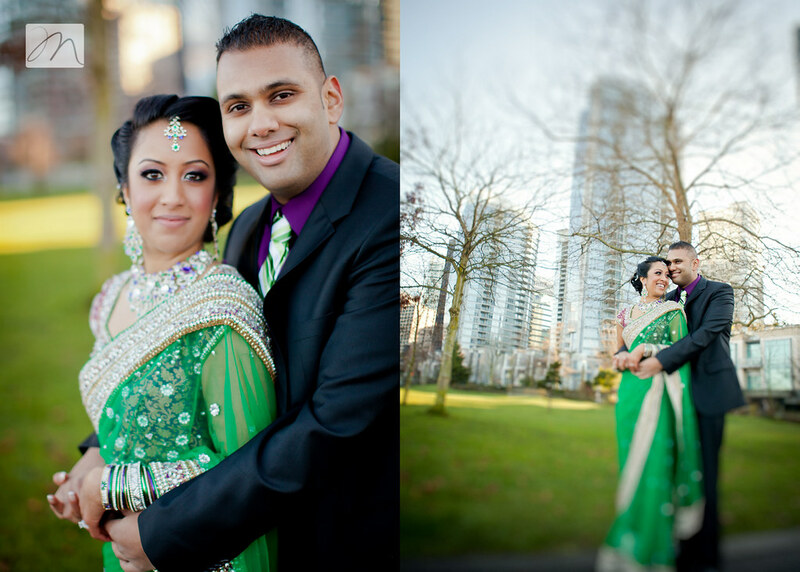 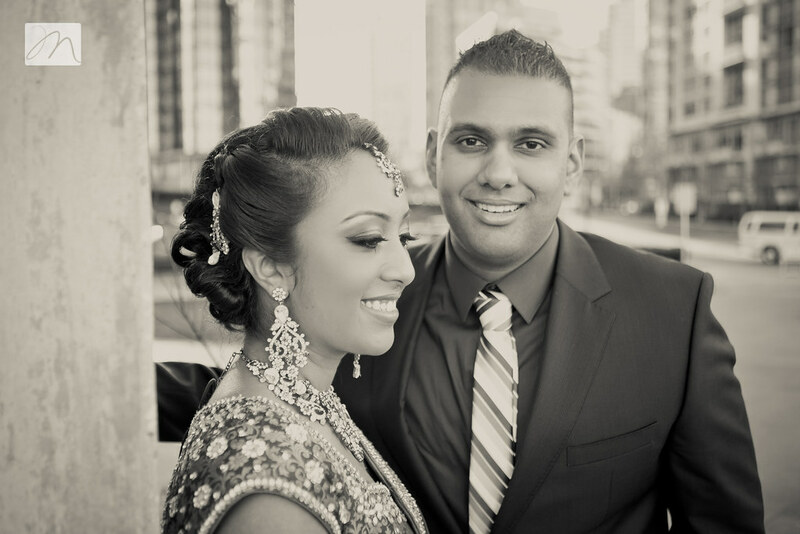 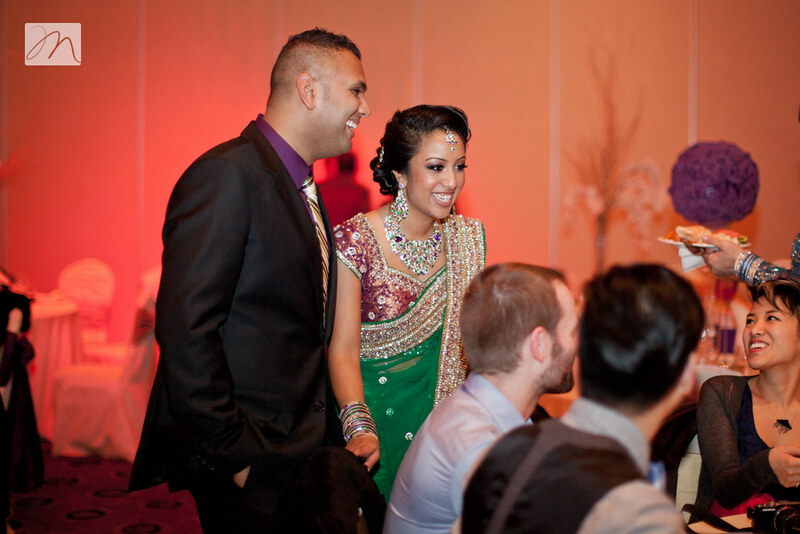 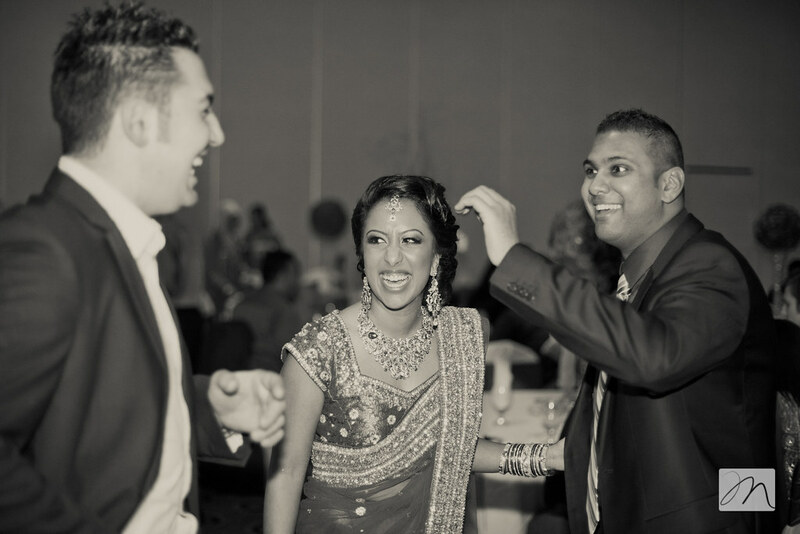 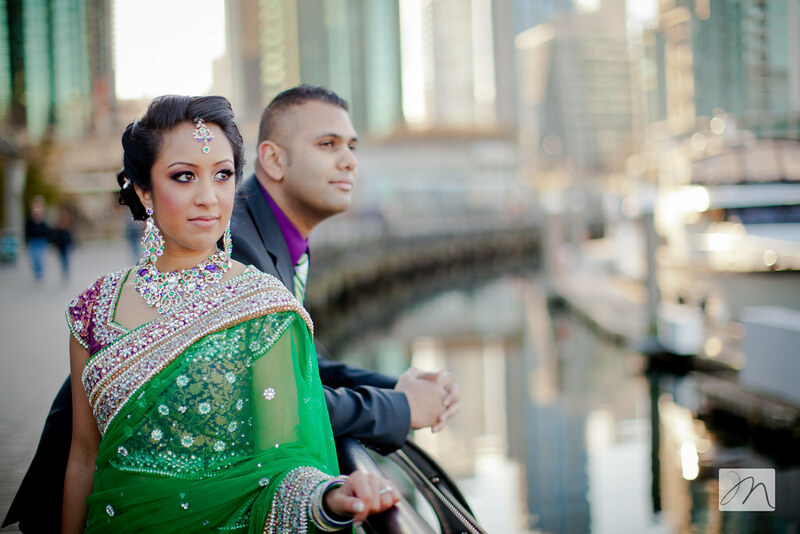 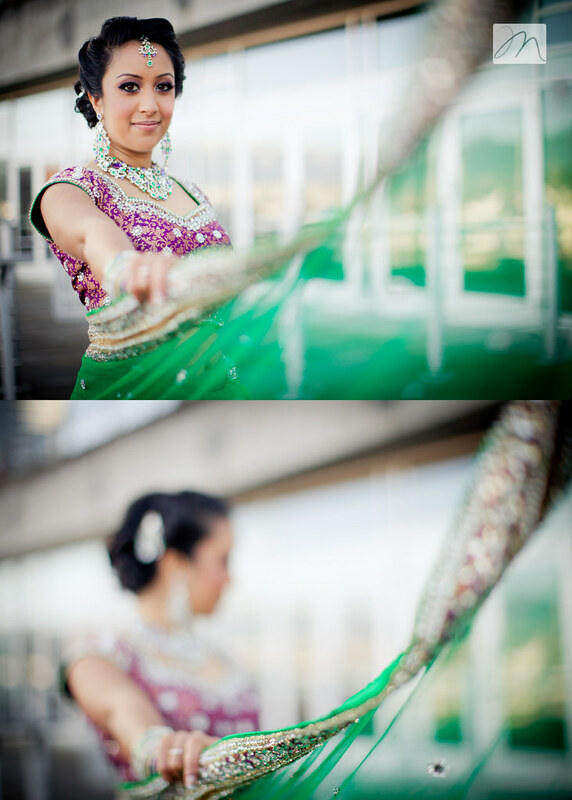 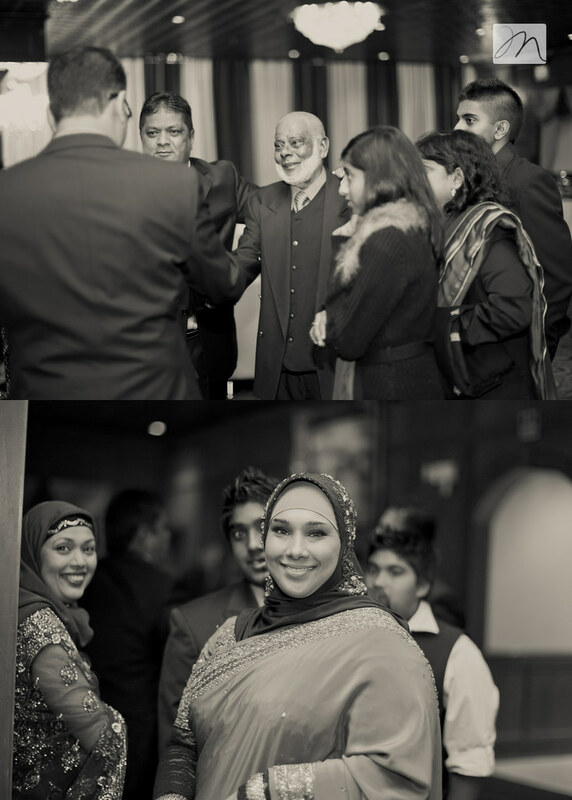 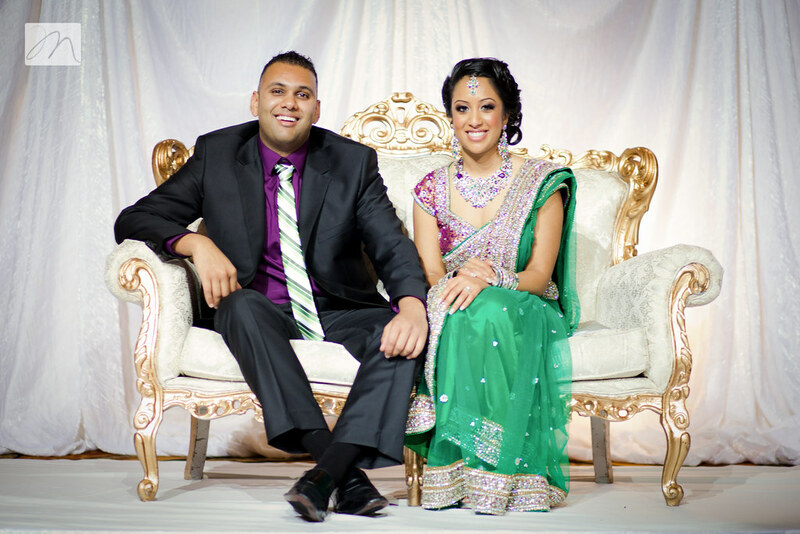 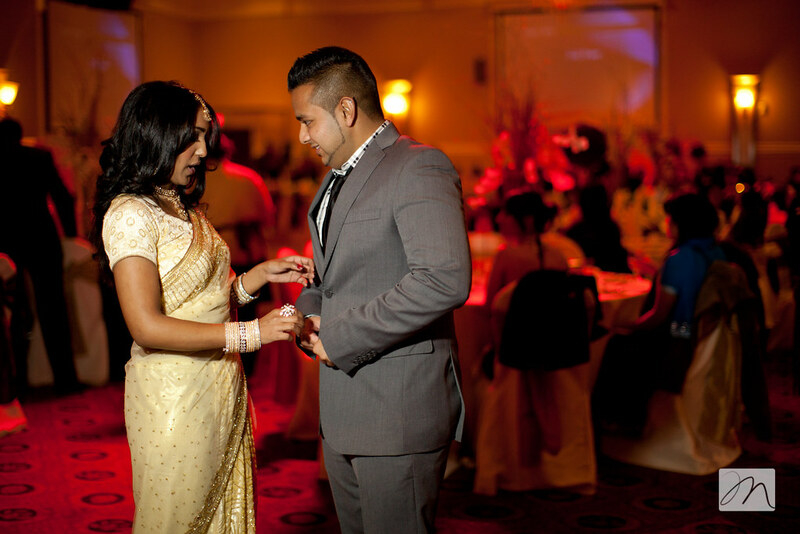 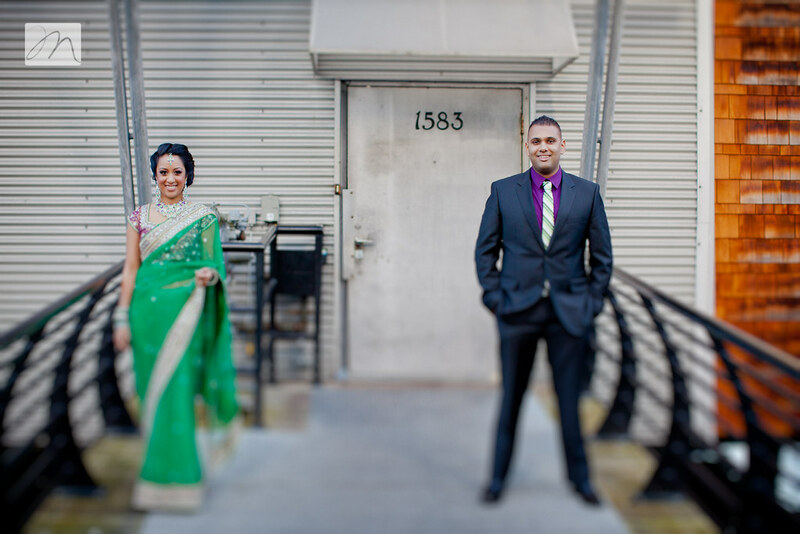 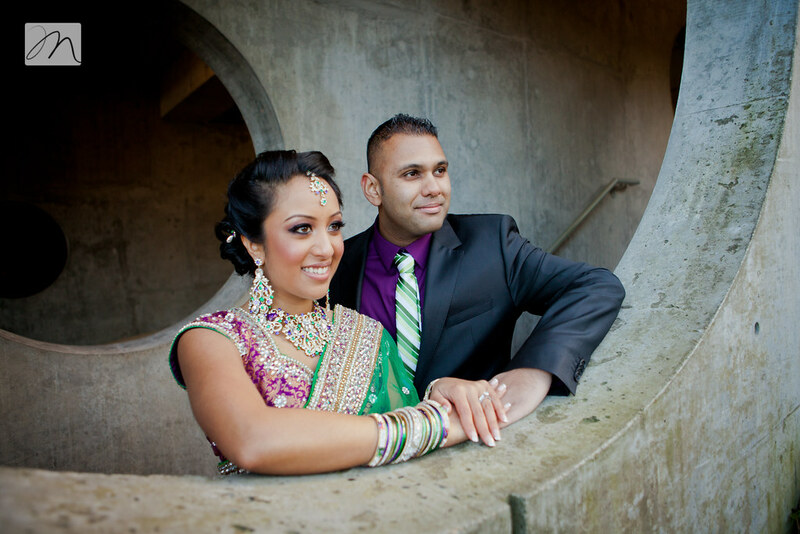 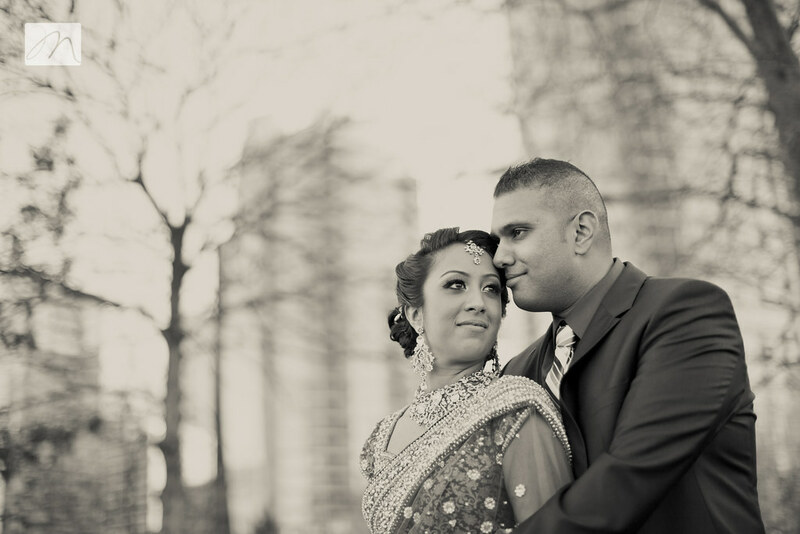 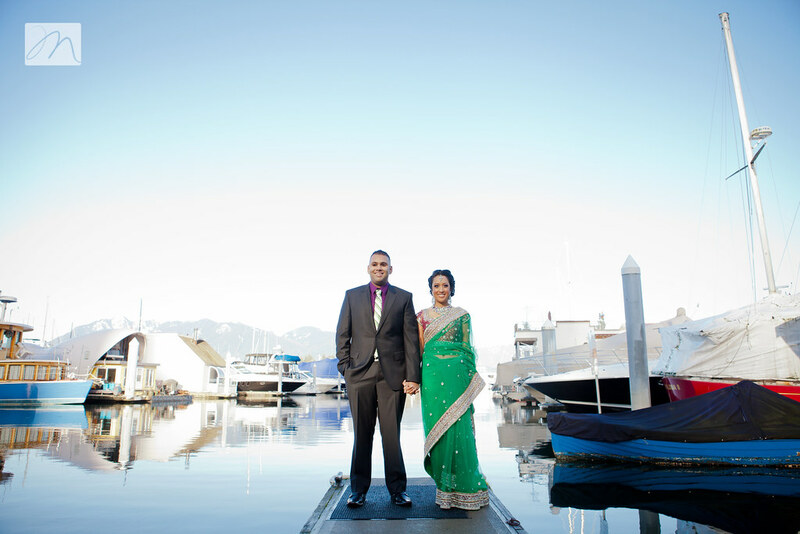 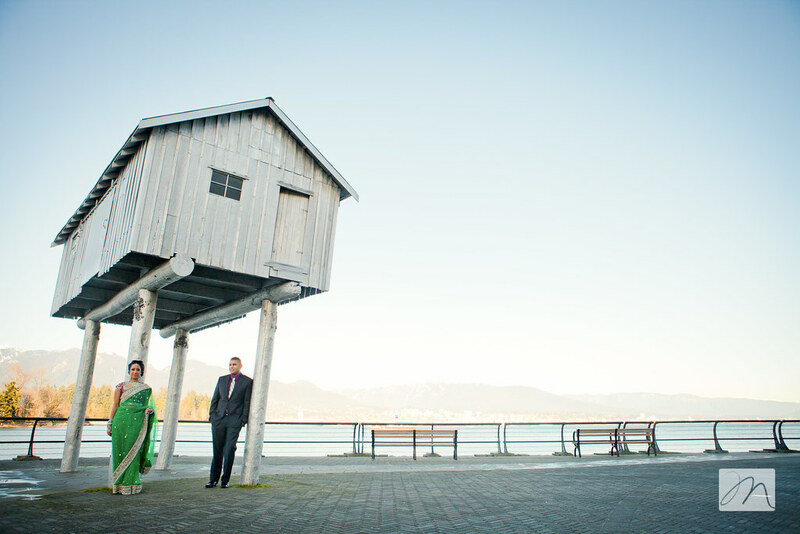 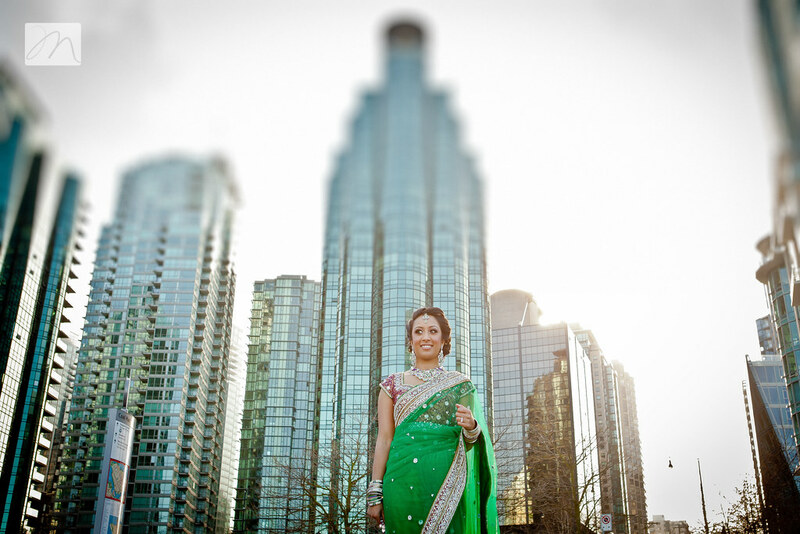 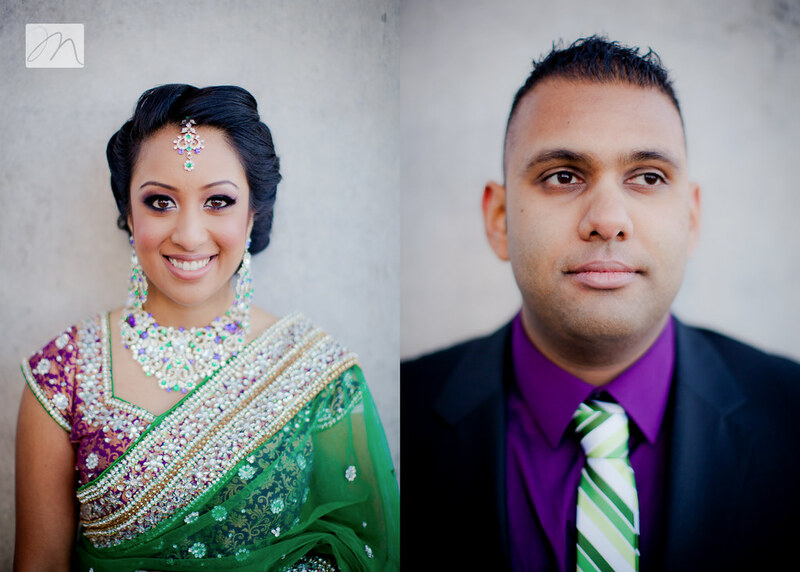 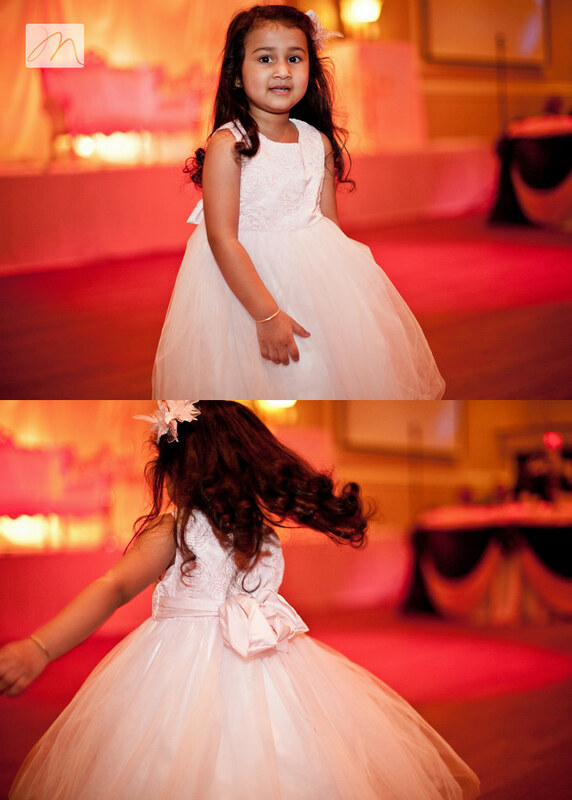 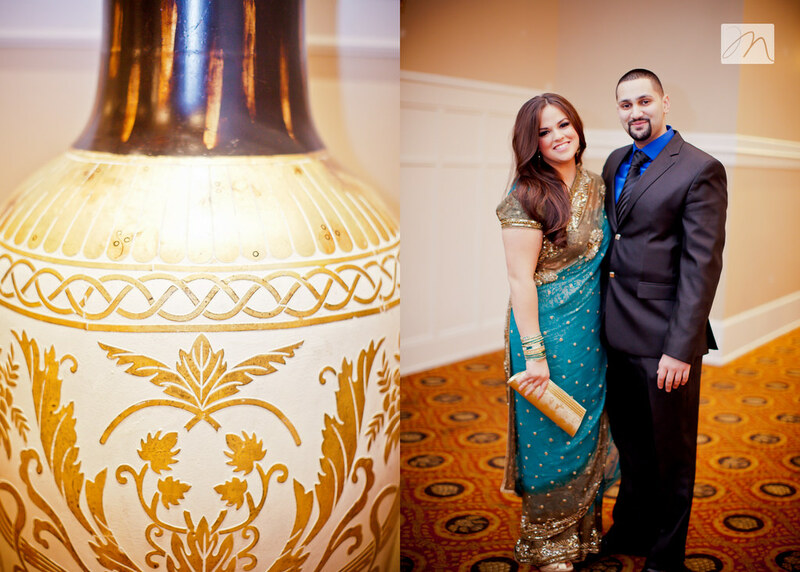 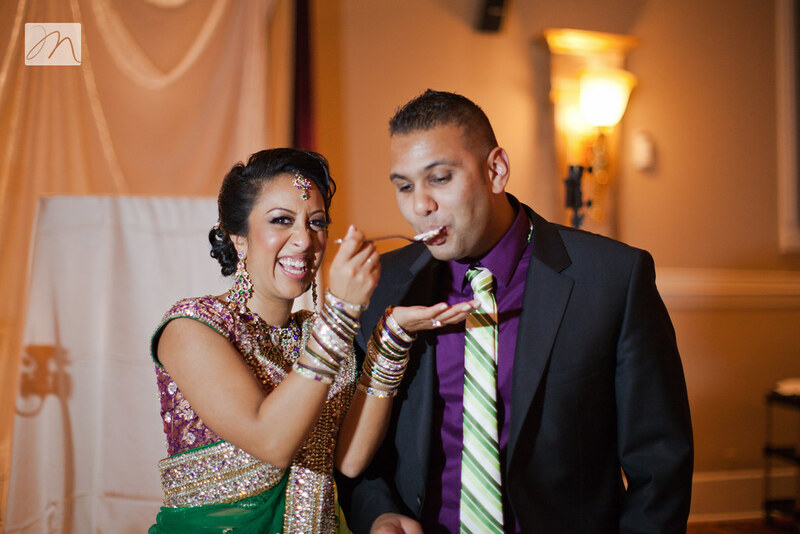 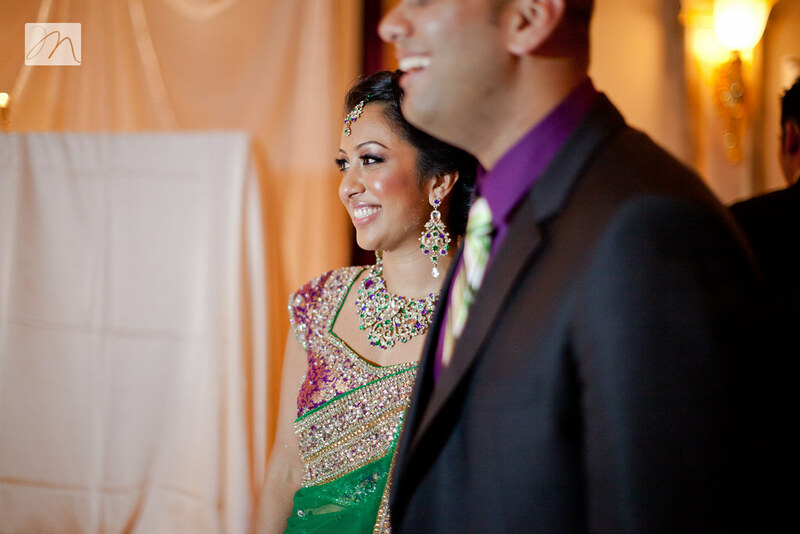 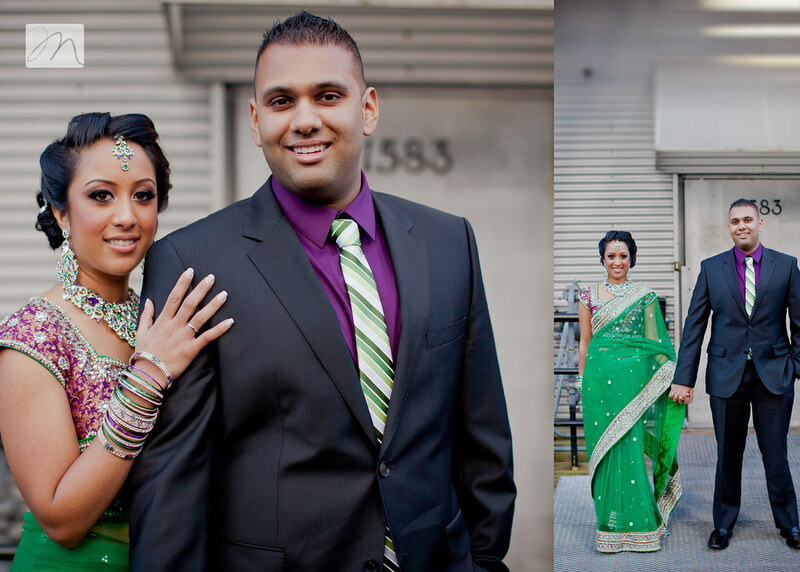 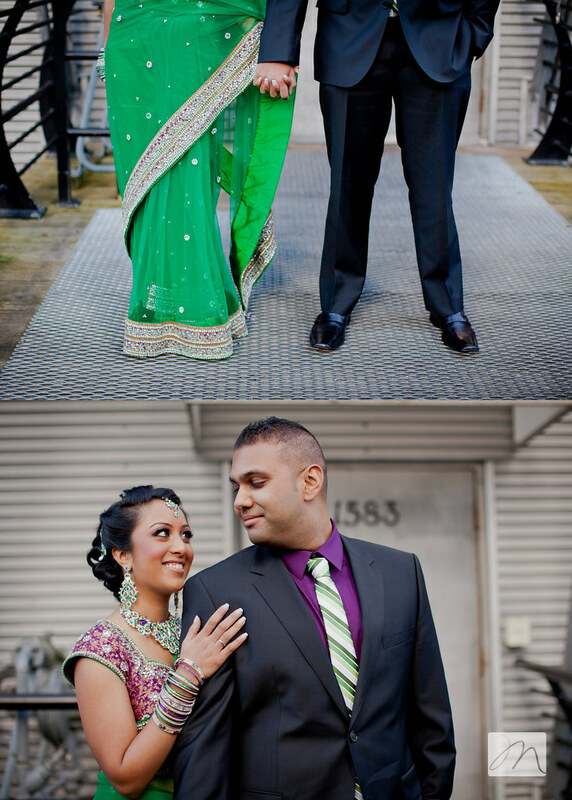 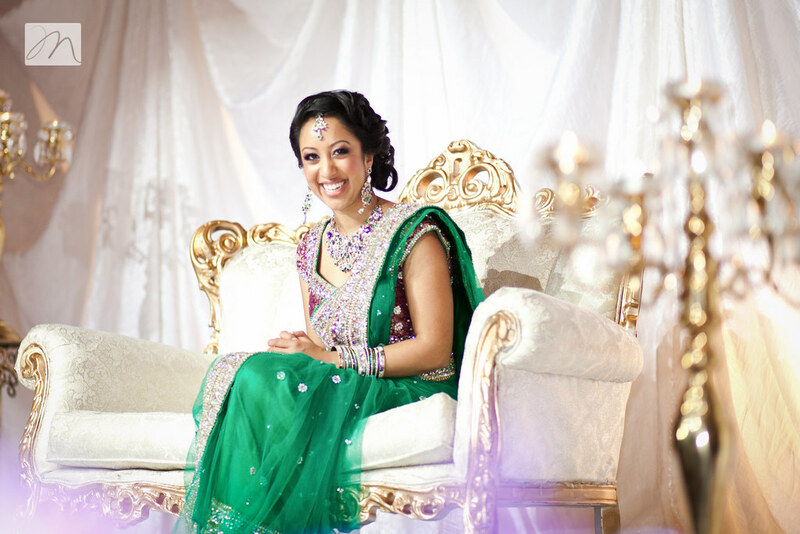 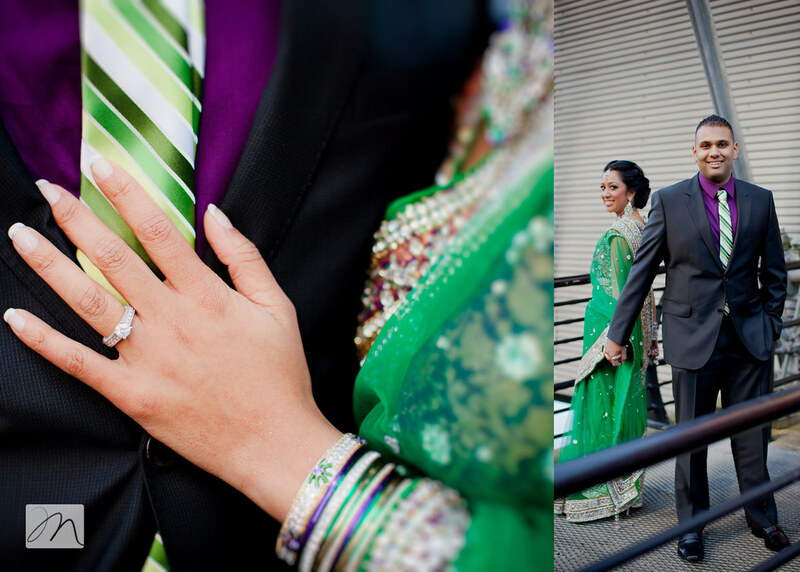 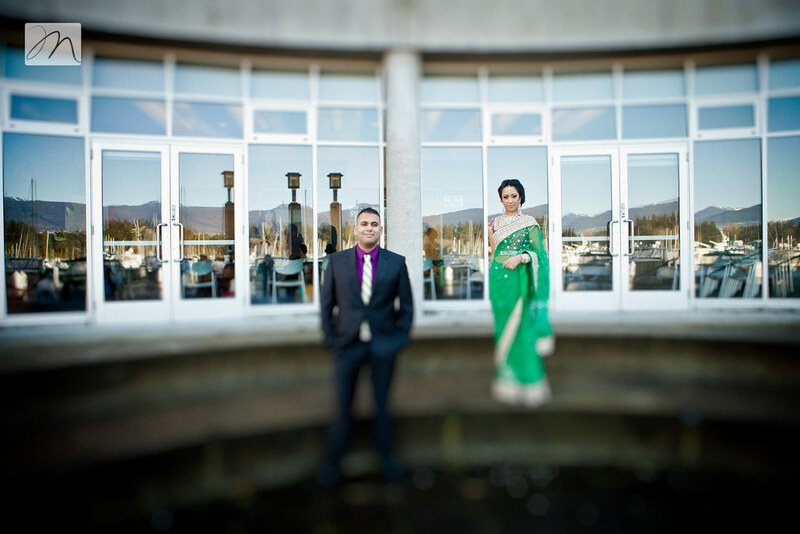 Faraaz + Natasha ~ You two are stunning together. 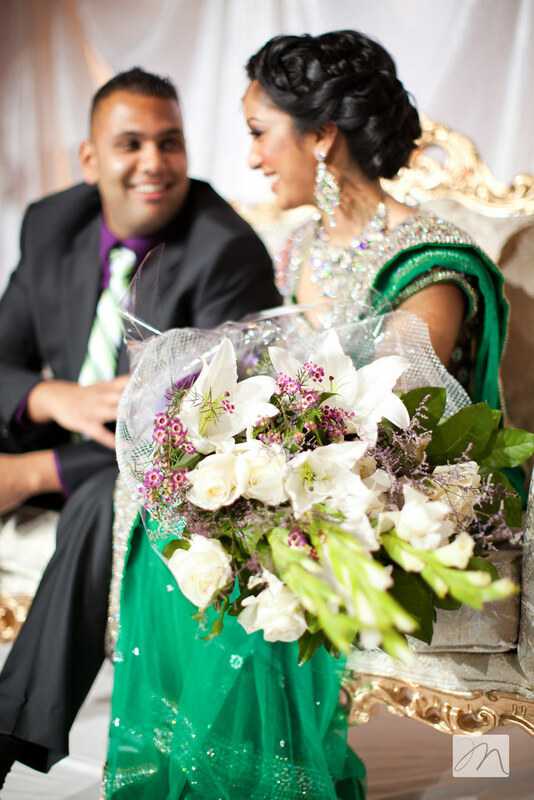 It was an absolute pleasure to spend this day with you! 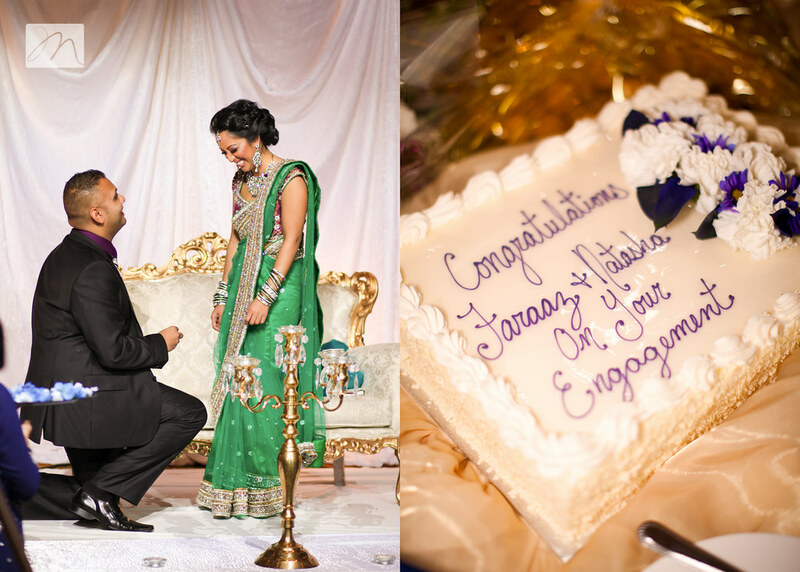 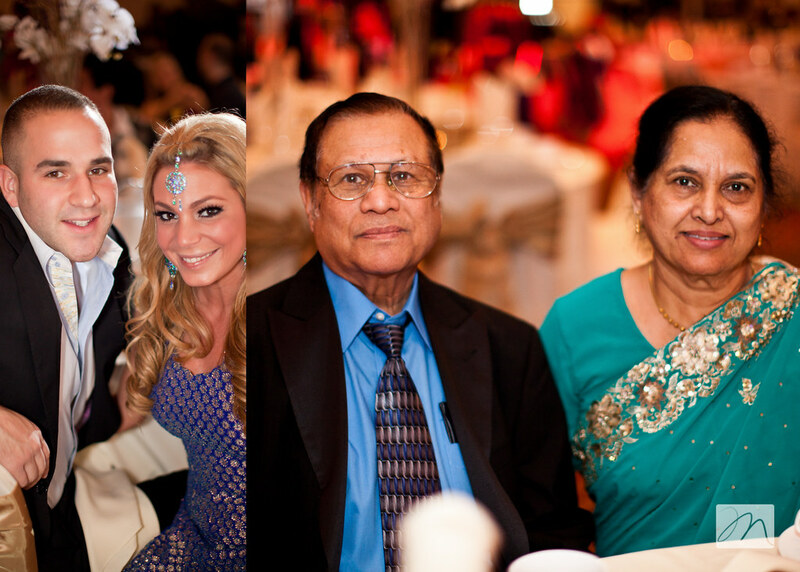 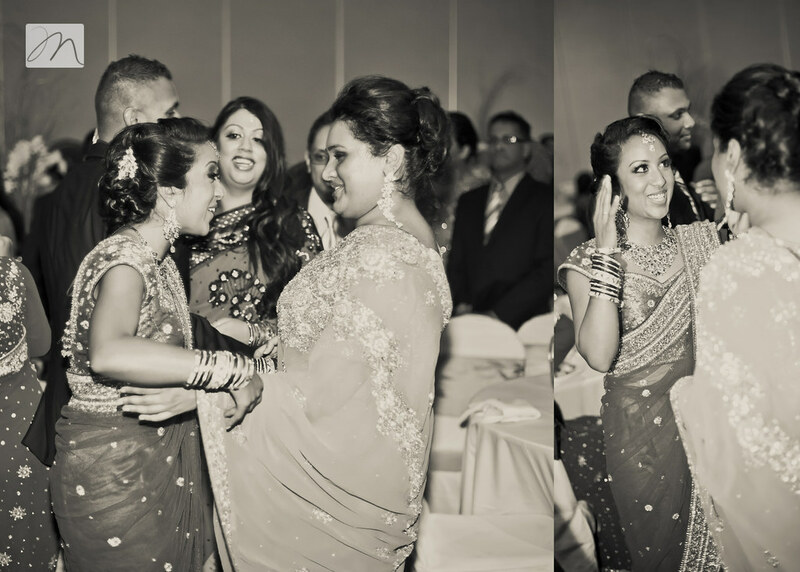 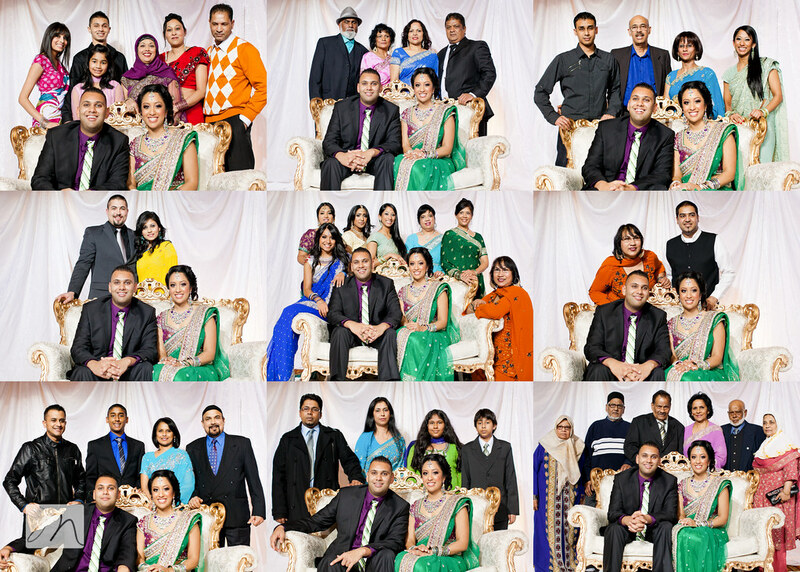 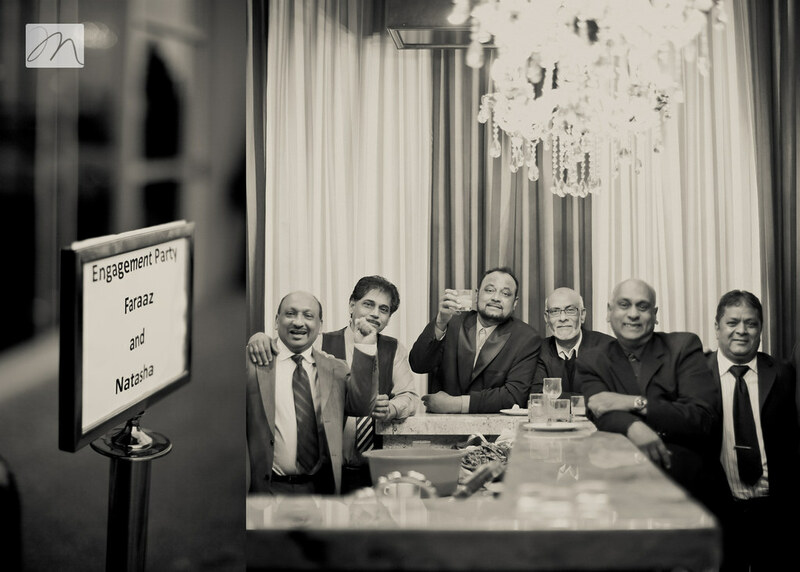 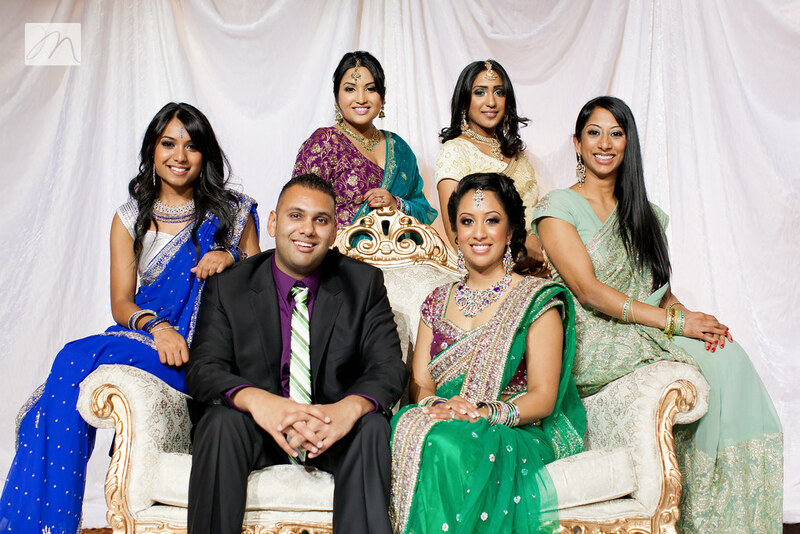 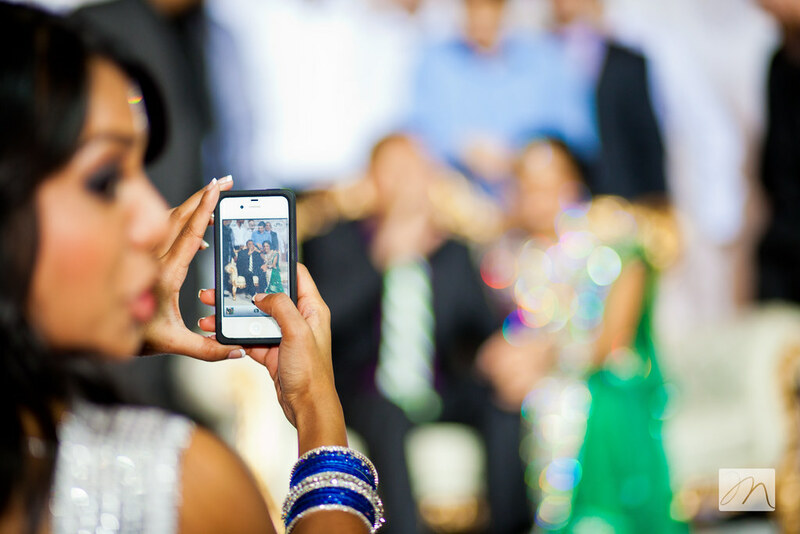 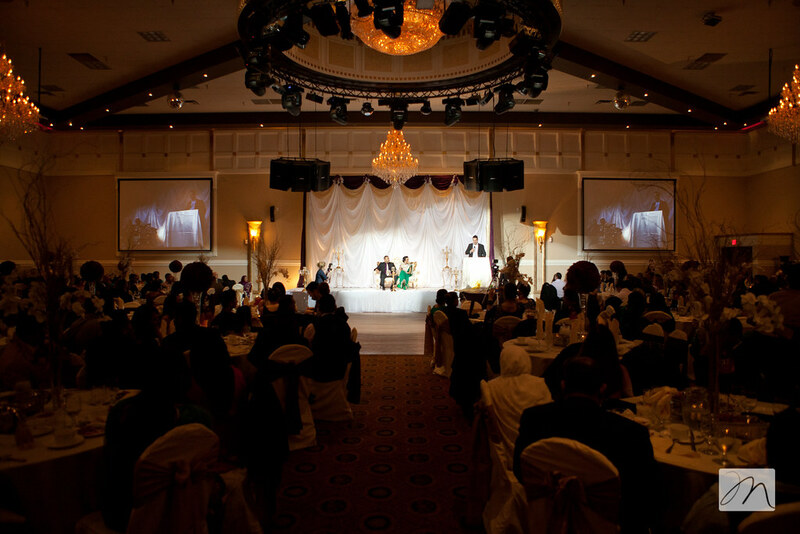 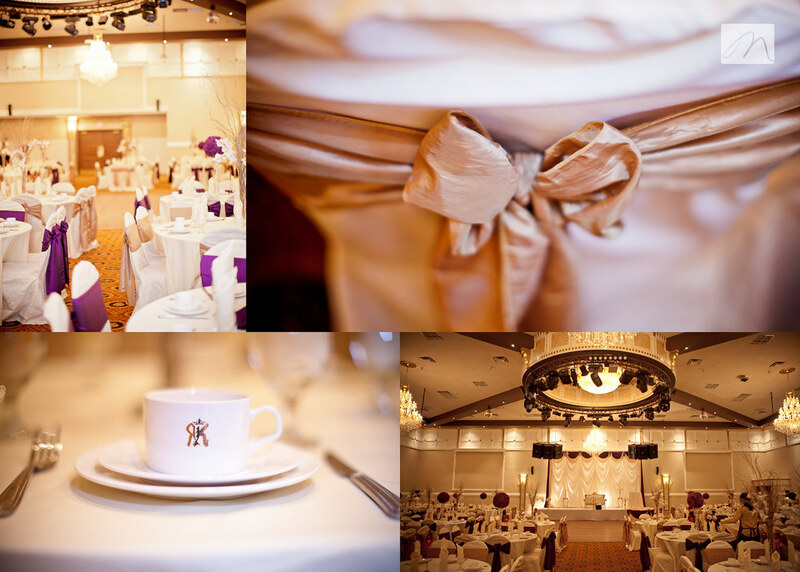 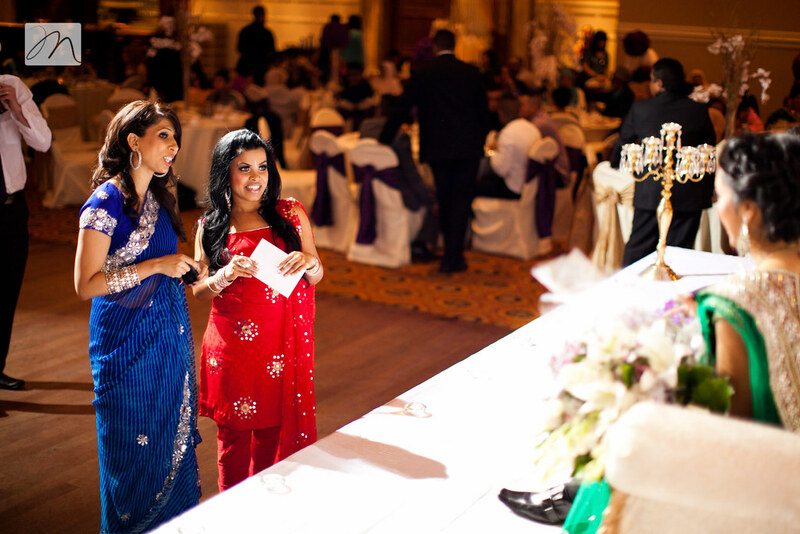 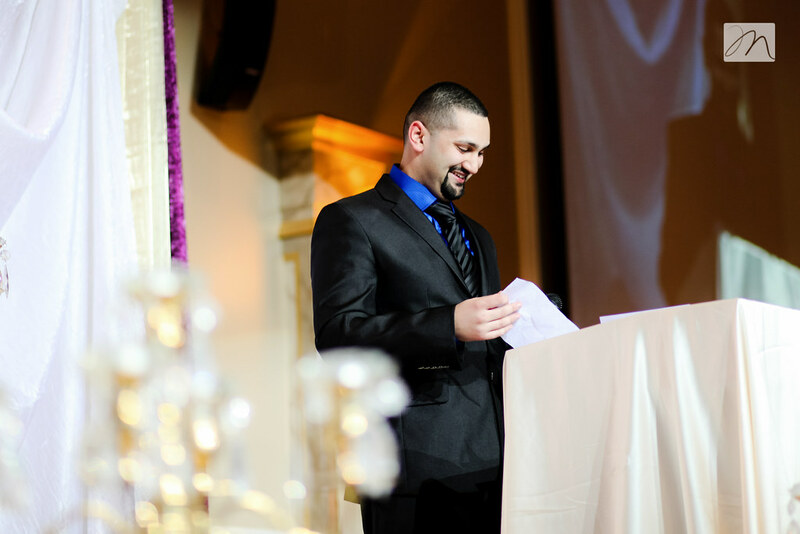 We are so excited for the opportunity of being a part of your wedding celebrations.